It's come to my attention that many don't seem to know what's needed in a Southern Kitchen. Or, maybe you need some gift ideas for a fran. I got Y'all covered. 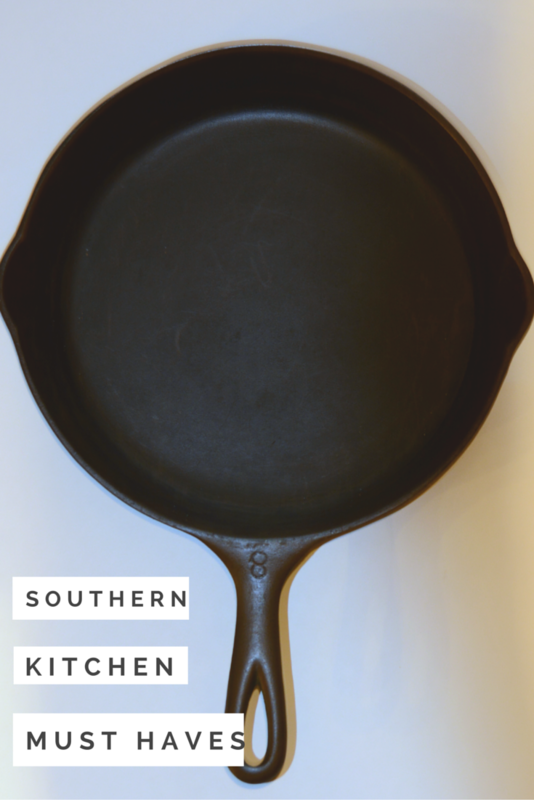 I complied a list of Southern Kitchen must haves. Me: " So, what are your must haves for a Southern kitchen? Imma do a gift guide. Me: Ohh a roastin' pan. And a Dutch Oven I cook with these a lot. One of the Boys: "Idk anyone who cooks with a Dutch oven except Boy Scouts." Me: "I do. So, now you know someone." One of the Boys: "Also, how TF is a Southern kitchen any different from any other kitchen?" Me: "Same as the whole Southern strawberry thing we talked about yesterday." SD: "I do too. Butter! One of the boys: "Giant jar of bacon grease?" Me: " I should have worded better. I can;t link to that on Amazon. But I sure am gonna quote y'all in the post." One of the boys: " Utensils are the same everywhere. Lmfao"
Me: No. Yankess don't cook with cast irons. One of the boys: "Ohhh a comal. But that would be a Texan Kitchen. Not a Southern kitchen." One of the boys:" I mean like all Texan kitchens are Southern kitchens but like not all Southern kitchens are Texan kitchens. SMDH how you don't know that? You don't have a comal? One of the boys: "You cook tortillas on it." One of the boys: "Not a griddle but go with griddle for the post"
Me: "I mean it's like a griddle. From the pics I just goodles. One of the boys: "I disagree. But whatevs. Bestfran: "It's a griddle with an accent." SD: " A good set of knives. I got side tracked earlier. Butcher block cuttin' board. Rollin' pins and biscuit cutters." Roasting Pan: Every Southerner knows that if one of these is on the stove or in the oven it's about to be good eats. Not a holiday goes by that we don't bust ours out. Cast Iron: Now, if you don't own or know what this is then we need to talk. Like talk immediately.My cast iron was actually the basis for this post. Recently I did a video where I joked that if you made homemade gravy like I did then it would catch you a man. I mentioned I used a number 8 cast iron and apparently that confused some people. Dutch Oven: I don't care what anyone tells you. You betta be able to cook on one. Plus, they make the best for dumpcakes over an open fire. Stock Pot: Growin' up in the South it isn't uncommon to see one or two of these in every house. perfect for soups, gumbos and most importantly cook outs and boils. Baking Dish/Pie Dish/Bundt Cake Pan/Pie Weights: Here in the South we will judge you by your homemade. Lemme explain. You need to always be able to make a dish in a pinch. You never know when a list minute opportunity will arise or when a house guest will be near. Mixer: For all the homemade bakin' you'll be doin'. This baby will be my next purchase. I still bake with my Momma's old fashioned hand crank mixed and handheld mixer. The handheld finally bit the dust and I'mma be forced to upgrade. Idk. but just somethin' about puttin' my wrist into it. It's made with more love. Cake Stand: Didn't I just mention that you need to be able to bake somethin' in a pinch. Well, you also need to be able to display that creation. Of course you wanna show of your work while swearin' it was nothin' and didn't take long. Biscuit Cutters: We sure do love are biscuits and gravy. Deep Frying Spatula: Yes, we really do fry everythin' down south. And no you don't want hot grease poppin' all over'ya. I even bought one of my bestfrans a sign that says. "It's my kitchen and I'll fry if I want to"
Griddle/Comal: Cause it's what we do. No, but seriously it'll make all those homemade breakfast so much easier. Rolling Pin: Do I even need to explain. You need to be able to roll out all that dough. I actually just bought my first rollin' pin this year. I've been usin' the same can to roll out my dough for years. I just was it off afterwards. I know I know. But that's how my Momma did and her Momma before her and so that's how I did it. Knife Set: How else you gonna chop for all those meals. And I've owned this set for years and love it. Butcher Block/ Bamboo Cutting Board: Now, lemme just tell y'all that this is like your cast iron. Learn it and love it. Learn the wood and the grain. And for heaven sake do put soap on it. Wooden Spoons: I still use the same wooden spoons my Daddy used and inadvertently passed on to me when he died. Not only do they not conduct heat but that add flavor and richness. Maybe it's the Texas in me; maybe it’s the smell of the bourbon. Or, maybe just maybe it’s the Texas logo splattered across the side of the box. The narrative is all the same these days. Narrative the word I’ve taken a likin’ to as of late. But nonetheless its truth rings true. I grab one after another after another, until nearly every morsel has passed my lips. Little J stops me. He wants a cookie. These ain’t cookies I reply. He’s too young. He doesn’t understand. He doesn’t care. His little Texas hiney smelt the goodness. He wouldn’t be satisfied until he had a taste and a big ol’ glass of sweet tea. We’d been out of the latter and it’d caused much strife all mornin’. I pause before handin’ over a taste. This is not a battle I want to pick I tell myself. He hungrily shoves the taste in his mouth smilin’ at the goodness. Many moments later when I finally have a breath and a moment to myself I smile. No one around for minutes, I quickly reach into the bag pullin’ out the last of the goodness. My mouth fixed for this goodness. I just had a hankerin’ and couldn’t wait to get that final taste. And then it happens. J burst into the room a cheeky smile on his face. He saddles up in my lap with those puppy dog eyes. His words, “Leshea can I have another cookie?” I sigh before handin’ over the last goodness, the last taste. And then I realize he’d written the story himself. After all that was the narrative as of late. Currently Lovin': No. 4 St. James.com/and everythin’ they do. Actually I’ve been obsessed with them for ages. For y’all non-Texans: When Texas was it’s own Republic the address of the embassy in London was 4 St. James’s Street; Hence the name. No. 4 St, James is a Texas lifestyle brand that sales Texas products and features Texas stories. That’s my kinda, y’all. You can get the Bourbon Bombs here as well as see everythin’ else these Vincent and the lovelies at No. 4 St. James has to offer. Southerner's, y'all gather round real close now. Let me tell ya a tale of sorts. A tale so horrid ya ought not repeat it. You’re cleanin’ your house mindin’ your own business. And then wham bam, there it is starin’ ya in the face… a little envelope. You know what it is as soon as ya look at it. Ya’know that holiday invitation you misplaced. The one you kinda wished ya hadn’t RSVP’d for. You sigh as you place it on the counter next to your keys. Now, there’s no time to clean when you haven’t a thing to wear. You begin to busy yourself with preparations. Location, dress code and the list goes on and on. You are a good Southerner after all. You wouldn’t dare leave the house any less. And then it dawns on ya. You can’t leave the house empty handed. Your Momma raised you better than that. Now, if you don’t know what I’m talkin’ about then we need to talk. It’s time I teach ya about an age old tradition here in the South. Really, it needs to be everywhere ‘cause it’s just plain good manners as my Momma would say. Here in the South you always RSVP and never leave the house empty handed. You always bring the person hostin’ the party or dinner a gift. It doesn’t have to be lavish. Sort of a thank you for all they’ve done. I can’t tell you how many times I’ve rushed at the last minute tryin’ to find the perfect gift. It’s a known rule that wine is always ok but maybe you just ain’t near a place that has that. Don’t worry ‘cause I got y’all covered. This is where Hallmark Gold Crown Store comes in. As a child Hallmark was my favorite. Many holiday seasons spend starin’ at the elaborate Christmas set up. Granny had the entire town collection. It was a little bitter sweet when she had to downsize and donate her collection. But, that’s neither here nor there. These days Hallmark has expanded and is just a great place for those last minute gifts. American by birth, Texan by the grace of God! They say to start from the beginnin’ but that really is neither here nor there in the thick of it. Dry with dry- wet with wet. Is this a post or a bakin’ lesson I mummer. The thoughts always have been jumbled in my head. A collection of snapshots amuck: recipes, stories, tales, traditions, and moments yet to be sorted and cooked. The dim mornin’ light peers through the old and worn, white shutters on a crisp warm fall mornin’. I sit clutchin' my Texas necklace, sweet tea in my belly- a sauce piquante on the oven. Could I still claim my Southern Roots? I wasn’t clutchin’ a strand of pearls. Was that even still a thing? *Sigh* I know it to be true. Did I even need to mentally wonder…? But, I am a Texan after all; a little right of tradition. The same narrative playin’ over and over in the media as of late had given me cause to pause, to reflect, to embrace. I’ve built an online existence around it, consumed of it. Easier to hide behind the vail of a keyboard or a carefully produced picture than not; the homemade apple pies, bowls of grits for breakfast, worn and frayed boots bedside. Each a carefully crafted snippet of my Southern Life It dare not betray. I grab the sweet tea, nearside. The familiar taste... now, at a loss for words I sit. Sit, and slowly sip the tea. Chris Stapleton fills my ears. Was I really as proud as I boasted? Born from my Southern Roots, the roots I dare not uproot. Poetic, profound I must admit. Was my Southern story yet to be define? I suppose it was long ago written; born of the Louisiana bayous, and the Arkansas cotton fields. Of the Louisiana oil rigs and the Mississippi ice pick trucks. Of the Virginia battle fields and the Texas sun, born of the South. I'd once written, "The thick accents, smilin' faces, friendly demeanor's, helpful hands and enchantin' food. The overall Southern hospitality, it's what I've come to expect livin' here. No one ever hesitates to help a person in need. And that's why I'll never leave." Tradition! Heritage! Texan! I'd come to realize much in the last few months the above mentioned more than just a footnote. Each fillin' the blank pages, waitin' for me to turn the page and continue on: to continue writtin' the story. I grab a pen and a worn notebook. I sit by the window seal, readin' a last edition Oxford Southern Magazine. I'd never quite gotten through all the articles even a year or so later. The light had just yet began to peer through the shutters as I sipped my mornin' tea. Coffee, usually the apple of my eye but we were out. So, I opted for a warm glass of homemade raspberry tea. The aroma from the fresh ground leaves filled the tiny section of my livin' room. I'd have come to perfect the pour over method many moons ago. The inner coffee sob in me proud as I nibbled away on a Perfectly Simple Zone bar. I'd read somewhere that they were gluten free and only 200 calories. I'd taken a liken to that. Eatin, them as a daily routine in my mornin' and as a snack. The tiny drawer in my classroom stacked high with their goodness. I reached over, the warm leather as beautiful as ever. I crack open the first blank page and begin to write. Sidenote: I love coupons. As a kid Daddy would hold up the grocery line with all his coupons, But that's neither here nor there. But here's a coupon to get ya some yummy ZonePerfect bars. You're as warm as a glass of brandy'. 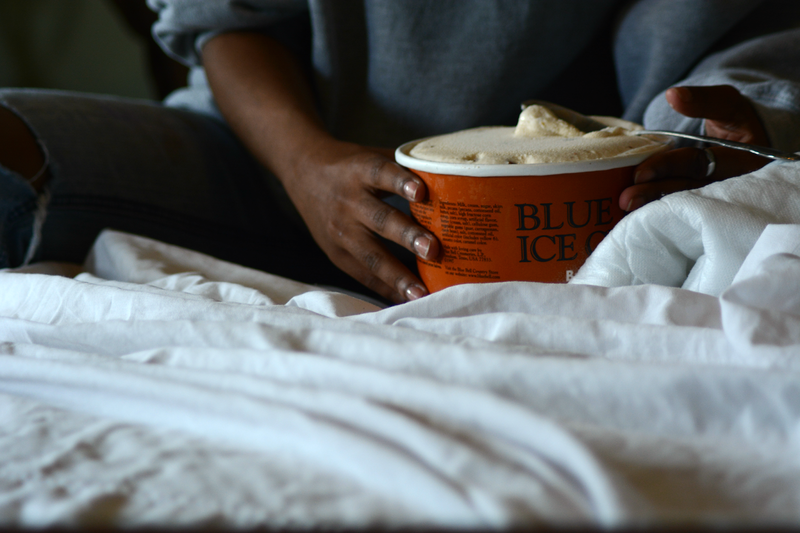 Miss Blue Bell Never scare me so. Never again leave me so, for next time my wonder heart may not know to be true, know what to do.